I’m thrilled to announce the winners from the giveaways! Fern was generous enough to offer not just one Complete Laundry System, but also TEN one-year Wonder Laundry Balls for the runners-up! Congrats to all the winners! This entry was posted in WINNERS on May 27, 2009 by makesmomhappy. This entry was posted in BLOG on May 27, 2009 by makesmomhappy. ..for a quick note from me, Amy (the Happy Mom!). Don’t jump ship yet! I promise to be back tomorrow. I think most, if not all, of you will understand when I tell you that life has just gotten to me over the past few days. Things pop up (don’t they always? ), the regular grind stuff still needs to be attended to, and then…WHAM! You turn around and realize that there’s so much going on that your head is spinning and you’re in up to your neck. The long weekend was supposed to be my big catch-up bonanza, but I fell quite short of that. So sorry! I’m going to dig out and be in top form ASAP…please stick with me for a couple days while I get life all sorted out again. Bear with me in the meantime? With much love for all of you out there reading this! This entry was posted in BLOG, Life on May 26, 2009 by makesmomhappy. The graphic pretty much says it all. They get fresh produce delivered, which gets peeled, chopped, juiced, and all that other food-ie stuff. And by “they,” I mean the people you see on the products, at right. Want to know who handmade your product? You can find their smiling face right on the bottle (a little strange, but kind of nice?). 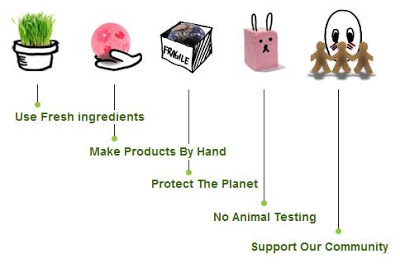 Lush is environmentally conscious and actually tests their products on human volunteers (novel idea, huh? testing products for humans,on humans?). And they give back to various charities via their Charity Pots, a unique product that’s developed for each charity. All the proceeds from Charity Pots get donated, which is awesome! I loves me some companies that give back. Know what else I love? I mean, LOVE? The fizzy little man that came in my gift pack! (The white, round thing at left). You put the Emotibomb (technical term for the fizzy little man) on the floor of your shower and he fizzes up, releasing the yummiest citrus scent you’ll ever smell. It was delish! Like being transplanted to a citrus grove, but all steamy and wonderful, too. I don’t get to take baths very often, so having this for the shower was awesome! It lasted for a pretty long shower (but probably would’ve made it for 2 shorter ones…ah, we’ll never know!). The entire Happy giftpack was so yummy. My second favorite was the Lemslip, a lemony cross between a soap and a gel. Of course, it smelled lemony and fresh, which was great, but it also left my skin smooth, soft – it didn’t even need lotion when I got out of the shower. It’s a really rich, nice creamy-gel that can be used at room temperature, or you can chill it (I couldn’t wait to dig in, so mine didn’t get chilled!). It’s quite the unique product, definitely worth trying out. I also got a shower gel (the Olive Branch) and a hair and body gel (Happy Hippy). I liked the grapefruit scent of the Happy Hippy (I’m no hippy, far from, so I questioned whether I’d like a product named Happy Hippy, but sure enough, I did!). The hair and body gel had some more complex scents that I found to be a bit masculine, so I left that for hubs to test. The other thing that came in the pack, the Sandstone Soap was fun. It’s actually got a layer of sand on top, a great exfoliator. Oh, and it works perfectly to scrub grass stains off of your feet after you mow the lawn barefoot. That genius move was performed by hubs. I was happy to have a soap to de-green his feet! I really enjoyed these bath products. I’ll be asking for some more of the Emotibombs, for sure (hubs, are you reading?). If you’ve got a citrus fan to shop for, the Happy gift would be perfect! 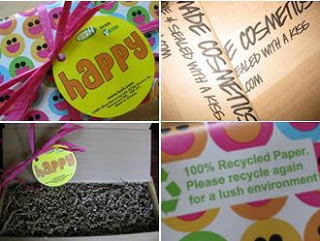 This entry was posted in Bath, Body, Color on May 23, 2009 by makesmomhappy. the very first Etsy Friday! Thanks to Christine at TotRags, I’m kicking off my very first Etsy Friday! On Etsy Fridays, I’ll feature my favorite picks and finds from Etsy and the lovely folks who are behind them. So, meet me here every Friday to see what’s new and great in the world of handmade. It’s a date! Considering my girl is almost 9 months now, I’ve been a bit slow to catch on to the whole diaper clutch thing. I’ve been lugging around this huge diaper bag that could sustain the whole family for days, if need be. Not exactly the most convenient thing to schlep around, especially on smaller errands. and it’s not even full yet! the boxed sides are awesome! Since discovering the TotRags DipeWipe Clutch, I’ve done some investigating. Lots of diaper clutches don’t have the boxed sides like Christine’s do. You want boxed sides! Everything lays so much flatter in the TotRags clutch. There’s no ugly taper to the bottom of the clutch, and hte boxed sides really allow you to fit a lot more – while still remaining small and fairly flat. Christine’s work is top-notch, the quality is amazing. Each piece is handmade by her, and the care and effort she puts into her work really shows. I’m loving the pattern mine came in, Summer Stripes. It’s really cute and…summery! What’s even better, though, is that most of the TotRags products are made from up-cycled, salvaged, or thrifted materials. Cute and good for the environment! And you’ll love Christine’s prices. Get this – spend $25 on any of the other fabulously cute stuff at TotRags, and she’ll send you her signature DipeWipe clutch FREE! Know what else is awesome about TotRags? Christine is giving back – $1.00 from every purchase goes to the Lance Armstrong Foundation to support cancer research. 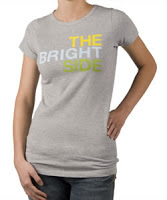 Buy an awesome product and help support cancer research? That is awesome. These very baby-hip bibs came with my DipeWipe clutch. They are a must-have! Lots of bibs start out cute, then end up a tattered mess after one wash cycle. Not these! The long velcro closure stayed closed when I washed them, and they came out in exactly the shape/form they came in. Not a bit of twisting or shrinkage. I was thrilled! They’re also really absorbent and have good coverage. You’ll love everything Christine at TotRags has to offer! Giveaway runs from 5/22-5/29/09. Winner to be chosen via random.org. If you don’t leave me an email, you can’t win, so be sure to leave one! This entry was posted in bag, DIAPER, ECO-FRIENDLY, ETSY, GREEN, WIPE on May 22, 2009 by makesmomhappy. Reusable bags are very in right now, no doubt. But most of them are ugly, unwieldy, and impractical (tell you how I really feel, right?). I’ve bought he 99-cent ones that are in the grocery store, and while that’s well and good for that trip, I’ll be honest: they rarely make it back for a second use. I can never remember to put them back in the car, and if I do get them that far, I remember that they’re in the car when I’m checking out. Score one more for the store, I either buy yet another set, or use the sucky plastic bags that are surely going to be the demise of some poor bird someday. a peek inside the bag. look how much fit in there! Don’t judge my groceries. And especially don’t judge that the ice cream is front & center – that is not a reflection of my (un)balanced diet! (It totally is!) My milk is organic, that makes up for the fries and ice cream, right?! Back to the bags. If you’ve got any inclination to quit your bird killing, ocean polluting habit (read: using plastic grocery bags), you’ve gotta have these! No judgement on the bird killing here, I’m as guilty as the next gal for using plastic…but not anymore, I’m done. Flip & tumblesaved some poor bird’s neck (probably literally), and did it with fresh, hip style. 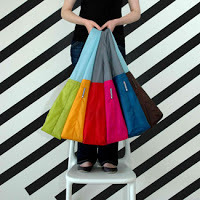 As if these weren’t eco-friendly enough (each bag has the potential to reduce plastic bag use by a THOUSAND bags! ), flip & tumble’sdone it one better. When you’re done with your bag, you can send it back and they’ll recycle it for you. Easy-peasy, huh? Don’t worry, though, you and your bag will be buddies for a long time, since they are machine washable. flip & tumble…welcome to Amy’s Picks. You are one of my favorites among favorites, which means that pretty much everything about your bags makes mom happy! You’re my very first Amy’s Pick, too, congrats! PLEASE, leave a valid email. No email = no winning. Giveaway runs 5/20 – 5/27/09. Winner to be chosen via random.org. This entry was posted in bag, Color on May 20, 2009 by makesmomhappy. Nimli is an online boutique dedicated to eco-friendly products for the whole household, from people to pets and even things for the home. The site itself is more than easy on the eyes, it’s quite well designed. That makes for a very pleasant shopping experience! I had the pleasure of testing this lovely lavender shawl from Nimli. It’s delish! It’s so soft and elegant, and the lavender is a great color for my summer wardrobe. Shawl, scarf, wrap – I can see it’s going to get a lot of use. Oh, and the multi-purposing mom in me had to try it out as a baby carrier, and it would do for that in a pinch, too! It’s also light enough to fold up and take along in a purse or diaper bag, which is key for wearing it (or wearing it with your baby) on the go. Nimli carries a huge variety of brands and even designers at their site. If you’re looking to go green with your next purchase, chances are, you’ll be able to find something there. 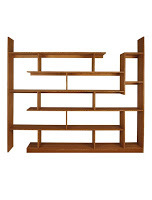 I found this really unique and fun bamboo shelf that would be great in a playroom there. I think I’d love that in my bedroom, too. There must be a hundred ways to fill out the nooks and crannies, it looks like such a fun and functional piece. I love shopping where I can find things for me and the rest of the family. 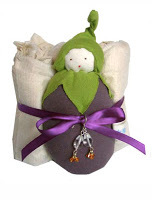 This cute gift set consist of a couple cloth diapers and a little eggplant doll for the little one, as well as a set of earings for mom. Bonus! I like it even better when I can buy one thing and it has something for both of us! You’ll find lots of great, green products when you visit Nimli. Even things for the four-legged members of the family! The way I see it, if you know you’re in the market for something, you might as well get something environmentally friendly if you can, and it’s even better when it’s a unique, off-the-beaten-path item. Nimli is the place for both, and that makes mom happy. 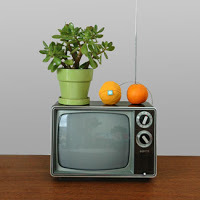 This entry was posted in GREEN on May 19, 2009 by makesmomhappy. Makes Mom Happy has arrived! Hello world, it’s The Happy Mom here! How fabulous is this site?! Mad love to Samantha at As Time Goes By Designs, this is her awesome design! She was fantastic to work with, I can’t say enough good things. Her designs, her rates, her turnaround time – everything is just great when you’re working with her. I can be a tough client, and Samantha welcomed any revisions and suggestions I asked for with perfect grace and professionalism. She’s the best! If you’re looking for a custom blog, check her out! You won’t have to look any further. This entry was posted in BLOG on May 17, 2009 by makesmomhappy.